In the last year or so I started noticing that I was having some tendinitis pain in my forearms and wrists. I think that this was probably more due to extended computer usage than from playing my horn. I've known many musicians over the years who have suffered immensely from the pain of carpal tunnel syndrome or tendinitis. Many of these players even had curtail the amount of time that they could spend playing their instruments, or had to quit playing for months at a time , to allow time for healing. 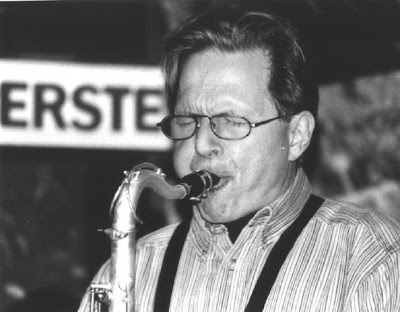 For me, playing the saxophone has resulted in chronic soft tissue and structural skeletal problems for almost twenty years. Regular chiropractic, massage, and electro-muscle stimulation have been invaluable, keeping me out of pain for the most part. For the past several months my chiropractor has been treating my newly developing tendinitis with something called the Graston Technique. He explained to me that muscle and tendon fibers develop adhesions that bind and restrict movement, like wrinkles. By massaging the soft tissues with the Graston tools these adhesions or wrinkles are smoothed out, kind of like ironing a shirt. Lubricating lotion is first applied to reduce friction, so the steel instruments can move back and forth over the problem areas with enough pressure to work out the fibers.When I asked my chiropractor how long Graston had been around he told me that he the general technique has been around for thousands of years, which usually involved the use of animal bones or smooth stones. Graston feels a bit uncomfortable and usually leaves some red flushing on the skin, but the results are amazing. A couple of minutes of Graston treatment feels like an hour of deep tissue massage. A. When viewed under a microscope, normal tissue can take a couple of different fashions: dense, regular elongated fibers running in the same direction, such as tendons and ligaments; or dense, irregular and loose with fibers running in multiple directions. In either instance, when tissue is damaged it will heal in a haphazard pattern--or scarring--that results in a restricted range of motion and, very often, pain. A. The Graston Technique® instruments are used to enhance the clinician's ability to detect adhesions, scar tissue or restrictions in the affected areas. Skilled clinicians use the stainless steel instruments to comb over and "catch" on fibrotic tissue, which immediately identifies the areas of restriction. Once the tissue has been identified, the instruments are used to break up the scar tissue so it can be absorbed by the body. Yes. Most patients are not disabled and continue to perform their regular functions at home or work. Graston Technique® gives back the control that is often lost when injury strikes. A. The concept of cross fiber massage is not new. Graston Technique® is grounded in the works of English orthopedist James Cyriax. The use of our specially designed instruments and protocol is new. Graston Technique® has become standard protocol in universities and hospital-based outpatient facilities, industrial on-site treatment settings such as Indiana University and the University of Michigan. The technique is also being used at industrial settings and by NBA, NHL and Major League Baseball trainers. A. Historically, the Graston Technique® has resolved 87% or more of all conditions treated. It is equally effective on restoring function to acute and chronic injuries, and pre and post surgical patients. Research conducted by Graston Technique® trained clinicians at Ball Memorial Hospital and Ball State University, Muncie, Indiana, found that the controlled micro trauma induced through Graston Technique® protocol, increased the amount of fibroblasts to the treated area. That amount of inflammation to the scar tissue helps initiate the healing cascade. The structure of the tissue is rearranged, and damaged tissue is replaced by new tissue. Ice is then applied to reduce the pain and exercise is implemented to increase function and range of motion. Other clinical studies continue to document the success of Graston Technique®, generally achieving better outcomes when compared to traditional therapies, and resolving injuries that have failed to respond to other therapies. Developed by David Graston who suffered a multiple ligament injury of his knee in an accident in 1987. The surgical reconstruction left him with limited range of motion. Having failed traditional physical therapy or orthopedic management he began using cross friction massage as described by Cyriax. The extensive manual work caused fatigue in his hands and he subsequently developed stainless steal tools to assist in the application of myofascial work on scar tissue. 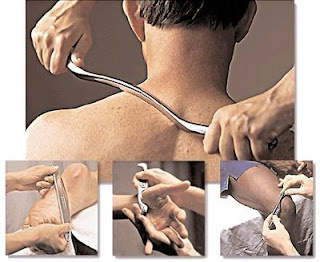 The Graston Instrument assisted soft tissue mobilization technique is a soft tissue technique designed to mobilize, reduce and reorganize fibrotic restrictions in the neuromusculoskeletal system. 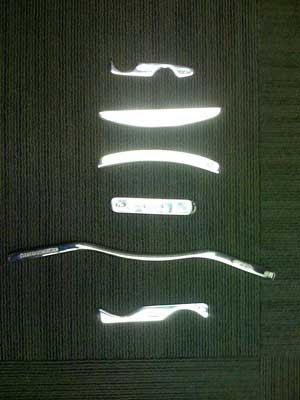 The technique is delivered through the use of six (6) hand held stainless steel instruments. A specially designed lubricant must be applied to the skin prior to utilizing the instrument. The lubricant allows the instrument to glide over the skin without causing irritation. The special lubricant also allows the instrument to glide without causing an accumulation of the lubricant on the instrument as commonly happens with ultrasound gel on an ultrasound head. The treatment is applied in multiple directions: with venous drainage, against venous drainage and cross fiber in multiple directions to the lesion. As with other soft tissue techniques the treatment application is also part of the diagnostic process. As the Graston tools are applied a "vibratory" sensation is felt through the tool to the examiners fingertips. The patient simultaneously experiences a similar sensation while the tool traverses the area being treated. I currently use The Graston technique on approximately 30% of my patients. I have found the technique to be very useful on 1) very chronic cases, frozen shoulder, de Quervains, etc. 2) Cases where ART, proper rehabilitation and other traditional forms of treatment have been ineffective. I would highly recommend that anyone suffering from tendinitis of carpal tunnel syndrome seek out a Graston provider and give it a try. After all, you can't take chances with your hands if you're a musician. 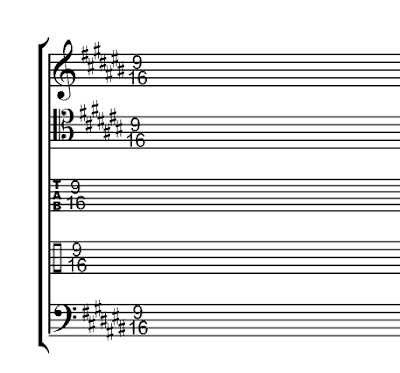 Ever wanted a specific kind of blank staff pape r but didn't feel like messing around with Finale or Sibelius to get it? At Blank Sheet Music.net you can your own customized staff paper, controlling every element of the staves. On the right is a staff that I created in order to show the features that the site offers. You can control how dark the staves are, make it landscape layout, create guitar tab, add key and time signatures, and much more. After you've created your template you can print it out and even log in and save it for the next time you need that kind of staff paper. This is an invaluable tool for musicians. This recording is from the mid 80's. 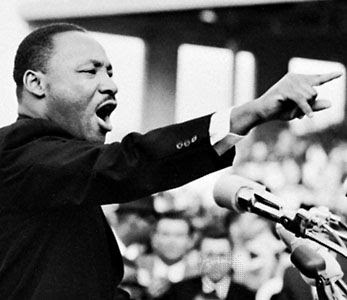 It was probably recorded at the Willow jazz club in Somerville, MA. This is classic Bergonzi- hard-hitting, aggressive, and raw. 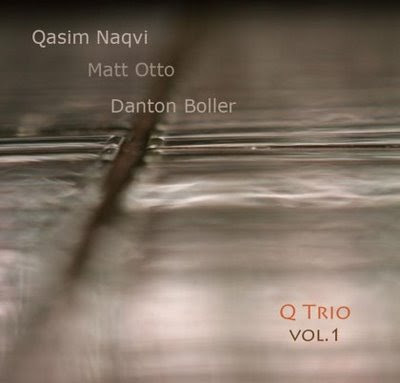 Matt Otto has just posted a new trio recording on his blog. It's an live Avant-garde recording from a several years back that features Danton Boller on bass and Qasim Naqvi on Drums. Each "tune" is dedicated to a musician (or musicians) that were influences of Matt's, like Sun Ra, John Zorn, Archie Shepp, Douglas Yates, George Garzone, and Albert Ayler. Nice stuff Matt! 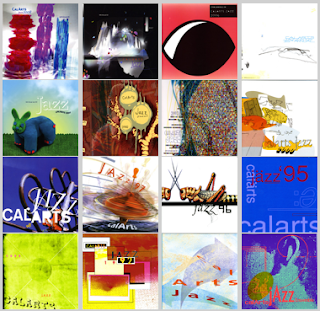 Otto also let me know that Cal Arts has just posted archives of all of their recording projects from the last twenty years. There is some great stuff there, well worth a listen.